The Art of Baby Wearing. This article contains an affiliate link! I am a participant in the Amazon Services LLC Associates program, an affiliate advertising program designed to provide a means to earn fees by linking to Amazon.com and affiliated sites. We’re nearly five months into this whole mom thing and my little chunk is creeping up on seventeen pounds! The larger he gets the harder it is to multitask, things that were once easy to accomplish one handed have become increasingly difficult for my little chicken arms to manage. This is where baby wearing comes into play! I personally have always been a fan of baby wearing, even when he was a tiny chunk in the early weeks of noodledom, as soon as he was big enough to be carried, I’d throw him in the carrier any chance I could! Baby wearing was the right choice for me for a few reasons. The Main reason being that the weight of the baby is distributed through out my whole body not just my arms, and my hands are free to do other things I normally couldn’t if I were holding him. The most important thing is finding a baby wearing device you’re comfortable with, I know people who swear by the moby wrap, but I preferred my carrier to have straps and buckles for added security. Whichever baby wearing contraption you chose, always be sure to read the instructions and follow the weight and age limits put out by the manufacturer. 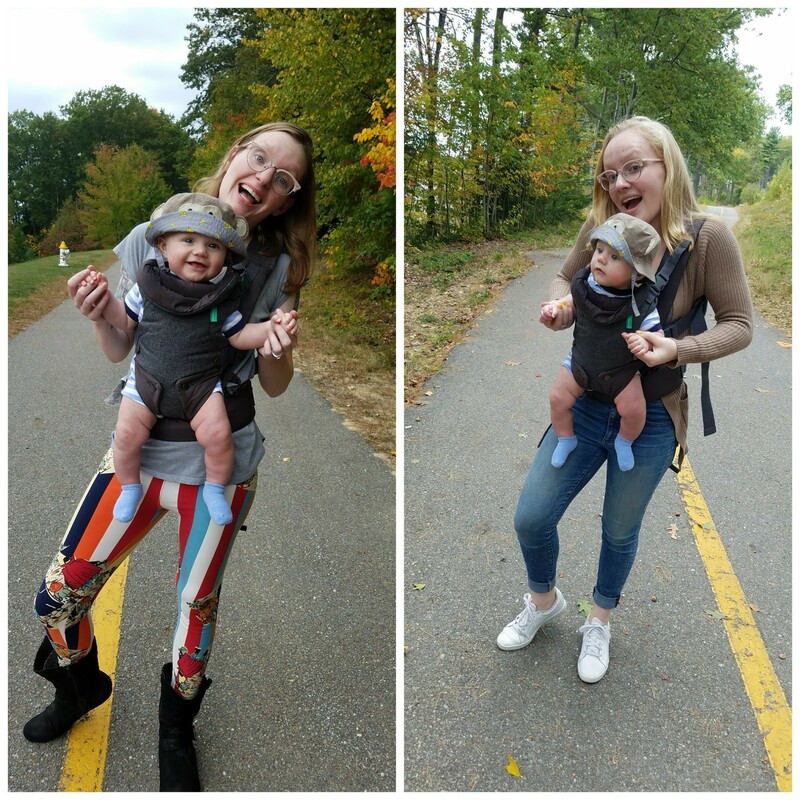 The carrier I chose was the Infantino Advanced Flip 4 in 1 Convertible Carrier*, and to be honest we initially registered for it because it was super affordable, but then realized it could carry up to a 32 lb baby four different ways, we were hooked. I love the simplicity of the design and how easy it is to wear and store, plus the straps are super easy to adjust making which is perfect considering the size difference between me and my husband. Who wore Ezra best? Me or my youngest sister Bridie? I love baby wearing especially as he gets heavier because carrying around the bucket car seat is becoming increasingly difficult, and it gives me an extra few minutes of Baby cuddles everyday which is something no one can pass up. 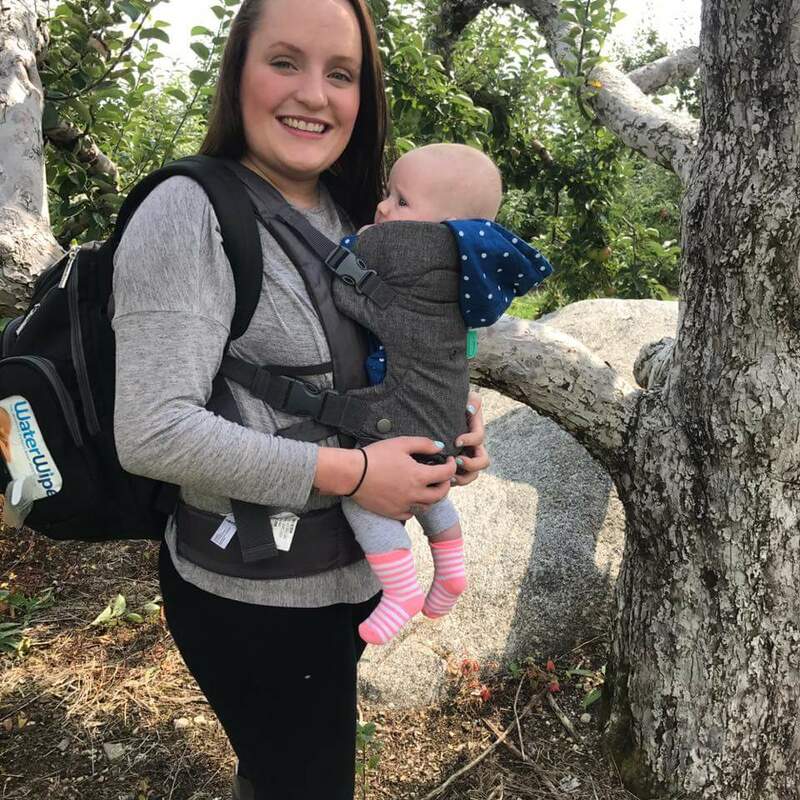 Like all parenting choices and experiences, baby wearing may not be for everyone, but I would definitely recommend to all new moms to consider giving it a try!